J A Coles became the fourth emergency service when paramedics flagged down one of our vans to help an injured cyclist. The paramedics were attending to the cyclist who had been involved in a crash on the junction of Church Hill and Rectory Lane in Loughton. 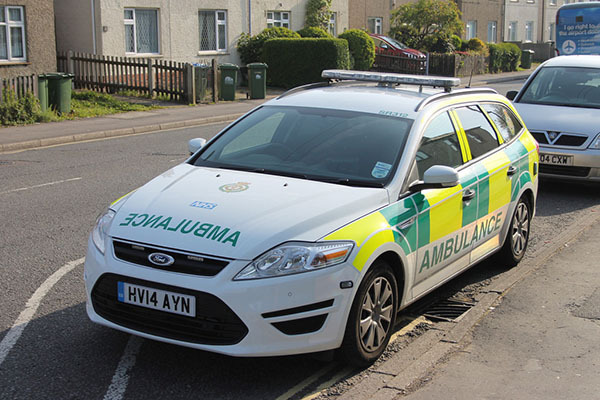 The cyclist, who had a broken leg and injuries to his pelvis and abdomen needed urgent attention at hospital, but when the ambulance was delayed and the paramedics found that the nearest spot the air ambulance could land was over a quarter of a mile away, they had to act fast. A quick thinking paramedic flagged down a passing removals van which was driven by Kirk Jeakins. Kirk was making a delivery on behalf of Lord Alan Sugar that day, and was only happy to help. He helped the paramedics move the injured cyclist into the back of his van and drove them all to the air ambulance landing site. The event caused a bit of a stir – even appearing on the front page of the Epping Forest Guardian and in the national newspapers.